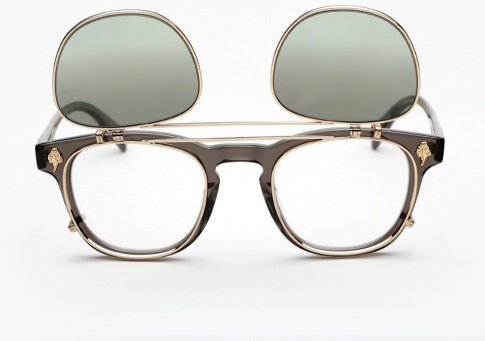 Garrett Leight X Mark McNairy, Valdese - Bravo Need Help? The Valdese is offered here in the "Bravo" colorway. It features Crystal Grey acetate, with gold metal hardware, and silver mirror gradient flip-up clip-on lenses.